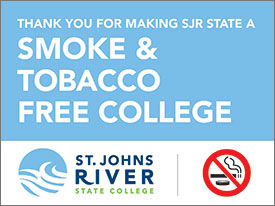 WELCOME TO ST. JOHNS RIVER STATE COLLEGE! Since 1958, SJR State has built a solid reputation as a full-service college dedicated to meeting the educational and workforce training needs of its Northeast Florida district. With campuses in Orange Park, Palatka and St. Augustine, SJR State is truly the community’s college, enriching a diverse population of students ranging in age from 16 to 60 and beyond. SJR State continues its comprehensive educational role by expanding its services and programs while continuing its focus on the Associate in Arts (transfer) degree and more than 30 Associate in Science degrees and certificates. In 2011, the College expanded its mission to include baccalaureate degrees. St. Johns River State College is accredited by the Southern Association of Colleges and Schools Commission on Colleges to award associate and baccalaureate degrees. Contact the Southern Association of Colleges and Schools Commission on Colleges at 1866 Southern Lane, Decatur, Georgia 30033-4097 or call 404-679-4500 for questions about the accreditation of St. Johns River State College. The College reserves the right to change any of its policies, courses, regulations, and calendar of events without notice when it is considered in the best interest of the College. In the event such changes occur, the College will provide notification to students, faculty, and staff via announcements on bulletin boards and in College publications. All students are responsible for observing all regulations and being aware of the information in the College Catalog, Student Handbook, official announcements posted on bulletin boards, and other applicable documents such as registration forms. 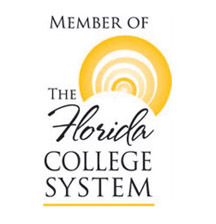 College regulations and student standards of conduct, as listed under "Student Rights and Responsibilities", apply to all areas under the jurisdiction of St. Johns River State College including areas where activities are sponsored by the college and areas where students of the college community are guests. As guests, students will make themselves familiar with any additional regulation of the host institution. 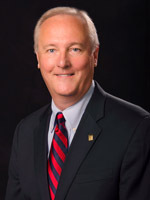 President Joe H. Pickens, J.D.